Palmerston Lions Heritage Club is 0.6 miles away and Listowel town centre is just 10 minutes' drive away. 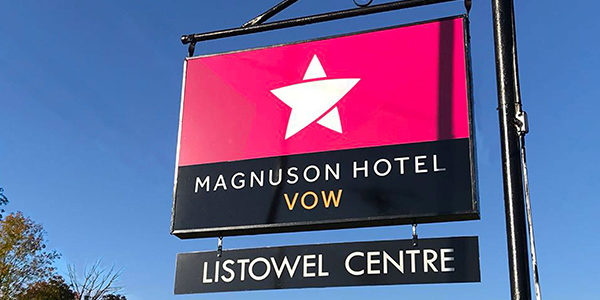 Thomas Magnuson, CEO of Magnuson Worldwide says: "We are delighted to be welcoming the team at Magnuson Hotel Vow to the Magnuson family." Are you with Magnuson Hotels? If you are a member of Magnuson Hotels you may be interested in learning how to optimize your content on our network.